'Boring' Singapore City Photo: Have you taken your temperature today? I have to take temp and record them into the my workplace intranet by 10 am daily. If you move around the different facilities/buildings, you might be required to take your temperature again by different group of people. 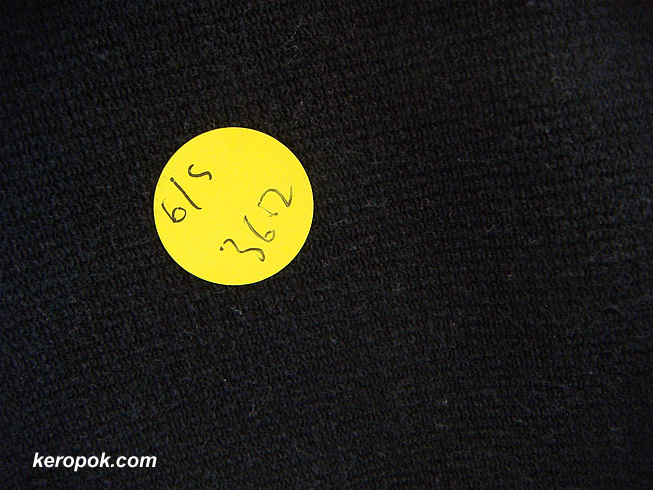 You get a little yellow sticker like this. So glad to hear that they will be lower the alert from Orange to Yellow in a few days time. To do with swine flu? Seems like over precautious! Yep, I wanted to go to the library but they need all these temperature readings and screenings like recording of ICs, etc, and the queues was long so I give up and went window shopping instead. I think many people will do that!